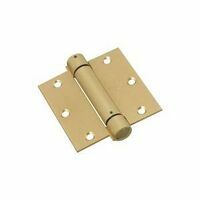 Ideal for use in corridors, entrances and stairways. Automatically closes door - an alternative to overhead mounted door closers. Patented ratchet adjustment eliminates need for adjustment locking pin. 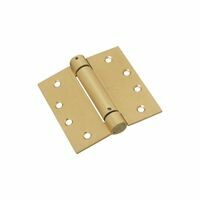 Meets NFPA8 standard for 3 hour fire rated doors - minimum 2 spring hinges per door required. UL listed for doors up to 4' x 8' weighing up to 180 lbs. Conforms to ANSI/BHMA standard A156.17, Grade 1.